As a kid, I excelled at the library’s summer reading challenge. I’d read multiple books each week—without giving it a second thought. Even now, a certain number of years later, I have the urge to up my reading game in the summer. As an homage to summer reading challenges, I encourage you to ramp up your reading this summer with books on omnichannel customer experience and employee engagement. Start by reading these nine eBooks about omnichannel best practices, the future of customer experience and ways to keep your agents engaged. So, after reading The Handmaid’s Tale or re-reading Game of Thrones before the new season starts this weekend, put a couple of these eBooks onto your tablet or eReader and take them with you wherever you go. A recent Accenture study shows that 72% of customers ceased doing business with a company because of a poor experience. Multiple, disparate systems for voice, mobile, web chat, self-service, social media and CRM—each with their own user interfaces—make it difficult for contact center agents to deliver effortless customer service. This eBook details how an omnichannel agent interface bridges the gap and empowers your agents to deliver best in class customer experiences. 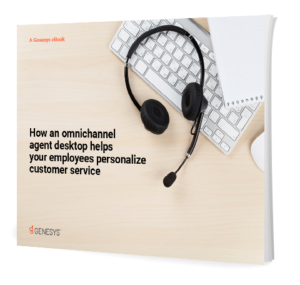 Download How an Omnichannel Agent Desktop Helps Your Employees Personalize Customer Service. When it comes to delivering effortless omnichannel experiences to your customers, choosing the right technology is key. 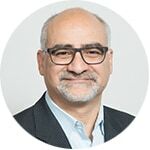 You can modernize your contact center infrastructure, increase workforce efficiency and deliver personalized customer experiences across all digital channels in a single unified voice with a best in class customer experience platform. 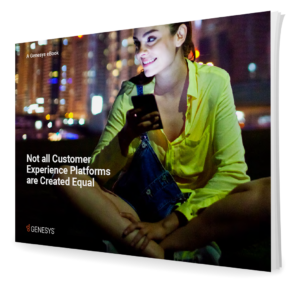 Download Not All Customer Experience Platforms are Created Equal. The recent evolution of customer experience has been fast-paced and transformational. 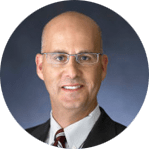 Today’s average contact center has nine communication channels; modern consumers now use digital and voice channels interchangeably and simultaneously. They expect a seamless experience as they navigate across them. This playbook discusses omnichannel customer engagement requirements for mid-size and large contact center environments that range from 250 to more than 5,000 seats. 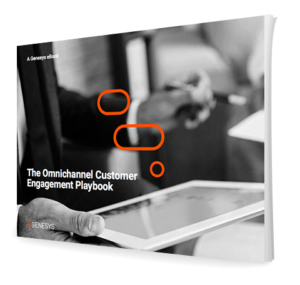 Download The Omnichannel Customer Engagement Playbook. The call centers of yesterday have evolved and transformed into multichannel contact centers and even omnichannel engagement centers. Understanding the difference between multichannel and omnichannel is key to design and deliver the customer experiences that today’s tech-savvy customers expect. This eBook gives insights to understand what omnichannel is­—and what it isn’t. 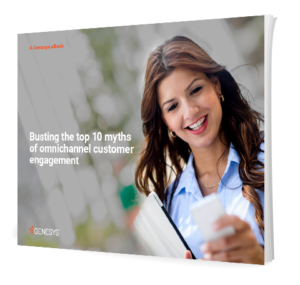 Download Busting the Top 10 Myths of Omnichannel Customer Engagement. Contact Center and Customer Experience Trends 2017, an Aberdeen Group report, states that companies with an omnichannel program experience 25% greater annual revenue growth and a 55% decrease in customer complaints. Whether through phone, email, social media or other web interactions, it is vital for successful companies to provide consistent and effective cross-channel customer service. 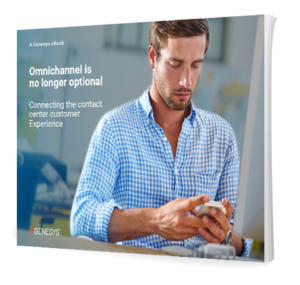 Download Omnichannel Is No Longer Optional. It takes time and effort to find new customers while still maintaining relationships with existing customers. When your customers are ready to engage, are you meeting them where they are? As the world becomes more digital, it’s vital for all businesses to communicate with customers whenever and wherever the customer wants—phone calls, SMS, online chats or social media. 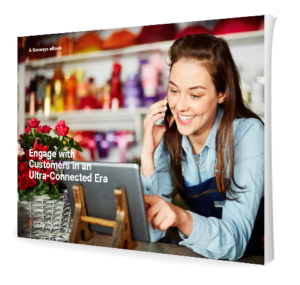 Download Engage with Customers in an Ultra-Connected Era. Customer expectations are higher than ever. The millennial generation demands ease, speed and consistency—no matter how they choose to connect with companies. Stay ahead of the curve with a cloud contact center to deliver seamless experiences across voice, web, email, social and mobile. Empower your agents with the tools they need to fulfill the high expectations of millennial customers. 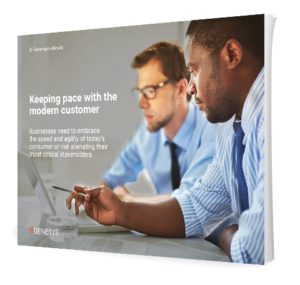 Download Keeping Pace With The Modern Customer. Modern contact centers support a variety of digital channels—email, chat, co-browsing, social and video—over multiple digital touchpoints, such as web and mobile devices. What contact centers lack is the ability to link interactions in a step-by-step journey to provide a personal, contextual experience for each customer. 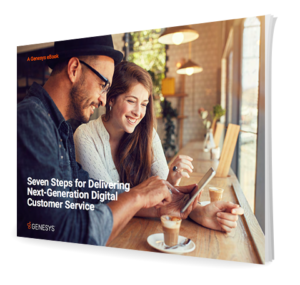 This eBook teaches you to design a digital customer engagement strategy to drive success and fortify the customer experience. Download Seven Steps to Next-Generation Digital Customer Service. The maturity of cloud platforms inspires new confidence in moving mission-critical systems to the cloud to gain agility, scalability and cost benefits. Choosing the right contact center partner ensures success in your cloud journey. Having a good sense for your business requirements, prospective partner’s capabilities and the cultural fit will pay off and help you realize business goals in the long run. 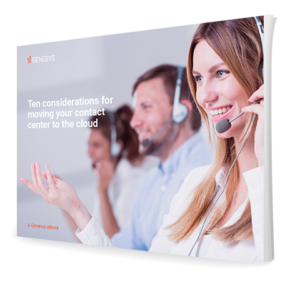 Download Ten Considerations for Moving Your Contact Center to the Cloud. If you finish the summer reading challenge early, check out the complete Genesys eBook, white paper, video and datasheet library on our resources page.